Don’t miss beloved author Janette Oke’s latest book, Where Courage Calls (co-written with her daughter, Laurel Oke Logan). The storyline and characters in Where Courage Calls are based on Hallmark Channel’s TV series When Calls the Heart, set in the Canadian west. Don’t miss a moment of the fun; RSVP today by clicking JOIN on the event page. Tell your friends via FACEBOOK or TWITTER and increase your chances of winning. Hope to see you on the 4th! Beth Thatcher has spent her entire life in the safe, comfortable world of her family, her friends, and the social outings her father’s wealth provides. But Beth is about to leave it all behind to accept a teaching position in the rugged foothills of western Canada. Inspired by her aunt Elizabeth, who went west to teach school several years ago, and gently encouraged by her father, Beth resolves to put her trust in God and bravely face any challenge that comes her way. But the conditions in Coal Valley are even worse than she’d feared. A recent mining accident has left the town grieving and at the mercy of the mining company. The children have had very little prior education, and many of the locals don’t even speak English. There isn’t even a proper schoolhouse. In addition, Beth’s heart is torn between two young men–both Mounties, one a lifelong friend and the other a kind, quiet man who comes to her aid more than once. Despite the many challenges, Beth is determined to make a difference in the rustic frontier town. But when her sister visits from the East, reminding her of all the luxuries she’s had to give up, will Beth decide to return to her privileged life as soon as the school year is over? Purchase a copy and read an excerpt here. **Janette Oke** Celebrated for her significant contribution to the Christian book industry, Janette Oke is the recipient of numerous awards. Her novels have sold more than 30 million copies and are beloved by readers around the world. Janette lives with her husband, Edward, in Alberta, Canada. **Laurel Oke Logan**, is the daughter of Edward and Janette Oke, is the author of “Janette Oke: A Heart for the Prairie,” as well as the novel “Dana’s Valley,” which she co-wrote with her mom. Laurel and her husband have six children and two sons-in-law and live near Indianapolis, Indiana. 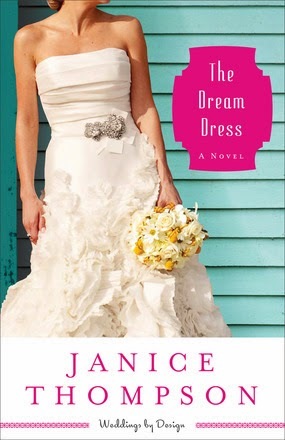 Find out more about Janette at http://bakerpublishinggroup.com/authors/janette-oke/932. When I saw that one of my all time favorite author had a new book out, co-authored by her Daughter Laurel Oke Logan, I knew I had to read it. Again, I was not disappointed. In this book we have Elizabeth's niece Beth. Beth comes from a well to do family, and has always had a delicate health. When she decides to take a teaching job out West in Coal Town. Her Mother doesn't want her to go, but her father prevails and Beth is off on a new adventure in her life. Long time family friend Edward, meets her as she gets off the train, he has been there on the train with her all along. He precedes to help Beth getting to her hotel, and hires a man to take her things there. I find this quite a funny part of the story, as Edward is in his Royal Mounted Police uniform, and pays the guy....who steals everything. What a start to a new life?? Arriving in a new town as the teacher, with no clothes or books, or anything...no underwear! Now this is a small, small town, you cannot go out and buy what you need. Thank goodness Mom comes to the rescue. Through out all of her stay here, she finds a new family. The people make her feel so welcome, and Beth keeps coming up with new ways to help these miners and their families. I can see God's hand in a lot of what happens here. He seems to answer a lot of prayers. We will sympathize with the plight of the families here, and hope something can be done for them. Beth sure is trying! You will wonder if there is a bit of romance in the air, and I see at least three possibilities. Will any of them work out? I hope that there will be more stories coming, I feel like I need to know what is going to happen next! Enjoy! Pump Up Your Book Presents I Want Your Body, Candy Starr Book Blast – Win a $25 Amazon Gift Card! Pump Up Your Book is pleased to bring you Tom Kempinski’s I Want Your Body, Candy Starr Book Blast February 17 – 28! Joe Andretti is a hospital porter living in New York, an eager member of the fan club of movie superstar, Candy Starr. One fine day, the way these things go in life, he suddenly snaps during a particularly boring session of the fan club and decides that instead of messing around looking at Candy’s movies and assessing her artistic qualities, he is going to drop everything and fly to Hollywood, and get to know Candy in the biblical sense. However and alas, Life thwarts him at every turn. Each moment that he takes a step towards meeting his heart’s desire, little things and big things get in his way. He finds he owes his landlord money, and so must work weeks and hours of overtime to pay off the debt. And so it goes on. However much he plans and prepares, he seems glued into a world without Candy. Does he make it in the end and attain eternal happiness? Well does he? TOM KEMPINSKI was an actor, then a playwright for 33 years, during which he had 40 plays produced, 4 in the West End of London, 1 at the National Theatre of G.B., won and was nominated for Best Play Awards, had plays produced in 40 countries. Pump Up Your Book and Tom are teaming up to give you a chance to win a $25 Amazon Gift Card! This giveaway begins February 17 and ends on February 28. Winners will be contacted via email on March 1, 2014. For this giveaway I want you to be able to choose your book. I am offering a $10 Amazon Gift Card so you can get that much wanted read!! 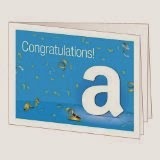 Just fill out the rafflecopter and GOOD LUCK!! Pump Up Your Book Presents Johnny Gora Book Blast – Win a $25 Amazon Gift Card! Pump Up Your Book is pleased to bring you John Goodale’s Johnny Gora Book Blast February 17 – 28! Have you ever had your life fall apart, or felt you were on the verge of oblivion and wonder if there were any glimmers of hope ahead? If you’re human, it’s likely that has happened to you at least once. During those times, it may seem like nothing good will ever come your way again. John Goodale felt that way. In his memoir, Johnny Gora, Goodale tells how he watched his entire life crumble. His story begins with growing up in a middle-class home and then embarking on a life of self-delusion, booze and rock n roll in a vain attempt to become a rock star. As that dream died, John found himself in a failed marriage that tore his whole life apart. But when life was at its lowest, he met a new woman—his future wife—and embarked on a humorous crash course in a culture and tradition he grew up around but never really understood. Johnny Gora shows that humor can be found even when things seem the darkest. It may be difficult to see at the time, but as Goodale shows, distance can provide insight into all life’s experiences. John Goodale is a professional chef and the father of two children. He and his wife, Farhat Qureshi, reside in Kingston, Ontario, Canada, with their two lazy, codependent cats. Johnny Gora is based on his memories of his life experiences. Pump Up Your Book and John are teaming up to give you a chance to win a $25 Amazon Gift Card! The Orphan and the Thief An adventure that will keep you and your kids spellbound. Toad thought it’d be easy to steal from Mr. Edward P. Owl. Unfortunately for Toad, he isn’t the best of thieves. Caught in the act, he’s in more trouble than ever before. Now to save his hide, Toad must track down five rare potion ingredients for Mr. Owl. Or else.All Melena Snead wants is her family back, but after the Miggens Street Fire, that isn’t very likely. Orphaned and miserable, forced to work in an apothecary, she’s determined to find Milo, her missing brother. No matter what. When Melena finds Toad ransacking her apothecary, Toad gets a nasty shock: apothecaries don’t carry Mr. Owl’s ingredients. Luckily, Melena’s willing to help, for a price. With Melena’s pet Spit-Fire dragon and Toad’s enchanted talking beer mug, they embark on a fantastical journey, traveling the country in search of the potion ingredients. But can they gather all of them in time, what with monsters, pirates, and axe-wielding thieves? And if they do, is there an even greater danger waiting for them at the end? Excerpt: Panicking, Toad rushed, “Come on, Gent. There’s gotta be somethin’ that ya want! My prices are reasonable!” “The price is your life,” Mr. Owl stated, gently placing the dragon statue upon the desk. Mr. Ogg stopped again, his ham-sized hands falling back to his sides. Toad fell silent, too stunned to dare hope that he wasn’t about to be killed. “Let me explain how this will work, Mr. Toad. If tonight was like any other night I would happily see your neck snapped and toss you out like the bit of filth that you are.” He gave a heavy sigh. “However, the Hickory Guard have become annoyingly tedious ever since that upstart became Captain.” “Ya mean Dowell?” asked Toad. “The man has become so inflated with self importance that he’s actually having me followed. Can you imagine? Me?” “That’s … awful?” said Toad awkwardly, unsure how to respond. “So, you will forgive me for not wanting to waste Mr. Ogg’s talents on you with so little preplanning.” He gave the window a casual glance. “I’m sure a guard is stationed outside somewhere and disposing of your body without detection will be troublesome to say the least.” “Pardon me, sir,” Mr. Ogg interrupted, “but it would be no trouble.” “Ah, Mr. Ogg! How I like you!” Mr. Owl cheered. “Always ready to break a neck. Good fellow!” “We can stash him in one of the upstairs rooms,” Mr. Ogg continued in his deep, ocean floor voice. “I’ll make sure he won’t bleed.” “But a body, even in such a large house, will be difficult to hide if Dowell decides to search the place, as he has been hinting at for the last fortnight. No, no, my man. We cannot afford the risk of housing him here.” Toad sat still in his chair. It wasn’t every day that his own murder was discussed in such a light, conversational manner. M.L LeGette: Melissa Lee LeGette has been writing seriously since she was a teen. She loves an old world vibe with a magical twist, and she puts her full focus on creating believable characters--even if they happen to be a talking beer mug. Her books are targeted for children and teens, but have been enjoyed by adults of all ages. She lives in Georgia where she helps run a family farm, so her nails are a fright. Pump Up Your Book Presents Retail Marketing Management Book Blast – Win a $25 Amazon Gift Card! Pump Up Your Book is pleased to bring you Claudia Buhamra Abreu Romero’s Retail Marketing Management Book Blast February 17 – 28! Born from studies and the experiences of its author, Retail Marketing Management provides guidelines, concepts, and practices of marketing, with a special focus on retail management. The guidelines aim to encourage and facilitate the development of marketing strategies that enable organizations to achieve greater competitive power and build brands that are respected and valued in the market, while the concepts are intended to give the theoretical background to the practices commented on and suggested here. As the language is accessible and direct, the work has the advantage of proposing immediate solutions for business, especially for market professionals who are eager for results and have no time for heavy academic reading. Moreover, the teachings contained herein are also useful to students and teachers who wish to enhance their knowledge about marketing. Application This book is recommended for professionals and academics from different areas and can be used for reading in business environments, and as part of the literature of technology courses for undergraduate and postgraduate studies in business administration and marketing. The book by Professor Claudia Buhamra reflects the intense conceptual and practical knowledge of the author, and offers a valuable contribution to retailers of all sizes and industries. This work includes a very complete range of themes for marketing retailer, bringing a wide range of practical examples which are analyzed and updated illuminated by solid marketing concepts. Structured in a very didactic way, and in a language accessible to different levels of the company, the text facilitates learning and the practical exercise of the themes of retail marketing. I recommend this excellent book to all retailers who responsibly seek to win the hearts and minds of their consumers. Preface by Prof. Juracy Parente, PhD. Professor at Fundação Getúlio Vargas – EAESP/FGV Sao Paulo, Brazil. Pump Up Your Book and Claudia are teaming up to give you a chance to win a $25 Amazon Gift Card! Pump Up Your Book Presents Hope Springs Eternal in the Priestly Breast Book Blast – Win a $25 Amazon Gift Card! Pump Up Your Book is pleased to bring you James Valladares’ Hope Springs Eternal in the Priestly Breast Book Blast February 17 – 28! The clergy abuse scandal has posed the greatest threat to the traditional understanding of the Catholic priesthood since the Protestant Reformation. Now, as then, the deadliest attacks are coming from within the Church. In an attempt to improve a system that allowed a small minority of the clergy to violate children and ameliorate the gross negligence of some bishops who recycled these predators, the American bishops instituted the Charter for the Protection of Children and Young People in 2002. It is, unfortunately, doing the Church more harm than good. In Hope Springs Eternal in the Priestly Breast, Fr. James Valladares shows how justice and charity have been violated by some bishops in dealing with accused priests. He examines the pertinent canons that guide the Church’s judicial system and finds that these are often ignored or wrongly applied. He provides true cases that highlight the injustice of the process and the agony of priests who have been subjected to the charter’s draconian mandates. The Church has incurred tremendous financial losses because of settlements rising from both legitimate and false claims. Her image has been marred by the secular media, which has taken advantage of the crisis. Even so, we often fail to understand how trivial these are in comparison to the damage done to the priesthood by the enactment of the charter’s policies. This is the most pressing issue that the bishops need to address. Fr. James Valladares is a diocesan priest and an educational and counseling psychologist who is presently serving the archdiocese of Adelaide, South Australia. This is his forty-second year in the pastoral ministry; the first nineteen years were spent in serving the archdiocese of Bombay (now Mumbai), India. Pump Up Your Book and James are teaming up to give you a chance to win a $25 Amazon Gift Card! This is my third wonderful visit here. Have loved all of these books and characters as they come alive and become friends. Thank you Janice Thompson! A story about forgiveness, and how it hurts the person who is holding on to it. This one is on a personal level and a work level. Gabi, is working under Demetri Markowitz, whom I wanted to smack. He didn't appreciate her...she is very talented, and he has her doing alterations. Then we have Grandma, you are going to "love" her. Wait until she wants her sewing machine serviced....ha ha! We are around so many people who walk their faith, and the results are awesome. Come and reunite with Bella and Club Wed. We also enjoy meals with the Rossi's ...ah I would love that! What awesome talent Gabi has, and I love how she has such inspiration, and finds out where it is coming from. Be ready for a bit of romance her too. Jordan Singer, a reporter with Texas Bride magazine, is smitten. Add a bit of Fred and Ginger, and your in for a real treat! Don't miss this one! Also, you can read this one alone, but why would you want to!! Enjoy!! I received this book through Revell's Blogger Tour, and was not required to give a positive review. 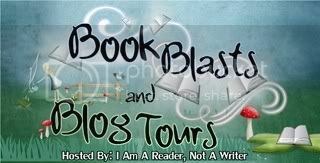 Pump Your Book Virtual Book Tours Invites You To: Love Like the Movies Release Day Blitz + Win Prizes Today! TODAY is the US premier of LOVE LIKE THE MOVIES through Simon & Schuster’s Pocket Star & You’re Invited to our HOLLYWOOD LAUNCH PARTY! This is an ALL DAY FACEBOOK Red Carpet Event. ★Last chance entries for our MOVIE Swag Sweepstakes. Winners will be announced throughout the day. -GRAND PRIZE worth over $150 – Popcorn gift basket of 10 ROM-COM DVDs, EBook, movie swag and candy! ★Win additional fun prizes throughout the day! LIMITED TIME PROMO PRICE $1.99 One-click NOW! In this irresistible romantic romp, movie fanatic, Kensington Shaw is thrown into love—Hollywood-style–when her gorgeous ex presents a big screen challenge to win back her heart. What girl wouldn’t want to experience the Pretty Woman shopping scene? It’s number two on the list. Or, try the lift from Dirty Dancing? It’s number five. One list, ten romantic movie moments, and a handful of shenanigans later, Kenzi has to wonder…should she marry the man her family loves, or risk everything for a love like the movies? A contemporary romantic comedy from Simon & Schuster’s Pocket Star by Victoria Van Tiem. Author repped by Jenny Bent of The Bent Agency. An artist, black belt, mom of two, wife of one, and resident caretaker of the family zoo—including her beloved, pot-bellied pig, Pobby. When she’s not writing, she indulges in her two favorite pastimes: a good book and a romantic movie. Visit her website at www.wantiem.wordpress.com. To Celebrate LOVE LIKE THE MOVIES release on February 24th we’ve collected all things movies for an ultimate MOVIE SWAG SWEEPSTAKES! 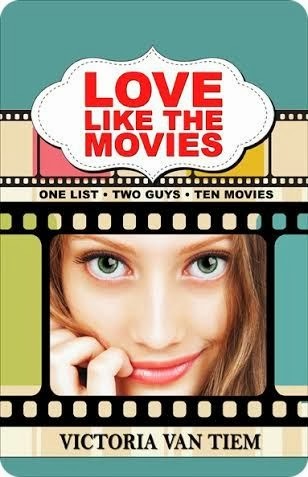 Free eBook of LOVE LIKE THE MOVIES and a popcorn gift basket with all ten ROM-COM DVD movies from LOVE LIKE THE MOVIES! We’ll even throw in the movie snacks! 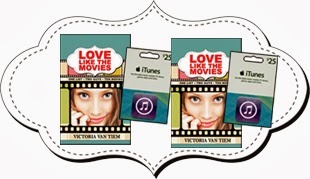 Free eBook of LOVE LIKE THE MOVIES and a $25 iTunes gift card to download Rom-Com’s of your choice! Drawings will be held on February 24th, LOVE LIKE THE MOVIES release day! No purchase necessary. Enter the Rafflecopter on Facebook by clicking here!